make any sense" our land-lady advised as she led me to her apartment. alive, so don't be ungrateful" she cautioned. later, after i had calmed down a little. resided, carrying Winnie with me. tears quickly formed in them as she stared at my weak body. she didn't, instead stared at us with pity. lesson and example to them. my arms. She breathed deeply, scratched her head and stared at the ceiling. problem" i replied with tears. so that i could to eat properly. shows up, i don't want his problem today"
with my meal, washed my mouth and thanked her. pain but tears refused to fall out. "how can i face dad when mum is behaving like this" i wondered. for him to finish me.. EPISODE 4 COMES UP TOMORROW. "BELINA" Season 2,Episoe 33 will be posted by 1pm Today. 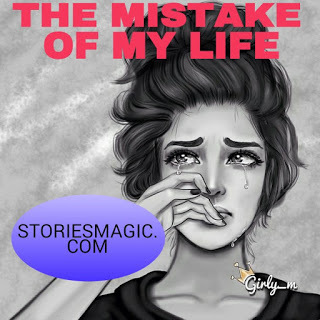 0 Response to "STORY:THE MISTAKE OF MY LIFE (Episode 3)"